"Scribner's" redirects here. For other uses, see Scribner (disambiguation). Charles Scribner's Sons, or simply Scribner's or Scribner, is an American publisher based in New York City, known for publishing American authors including Ernest Hemingway, F. Scott Fitzgerald, Kurt Vonnegut, Marjorie Kinnan Rawlings, Stephen King, Robert A. Heinlein, Thomas Wolfe, George Santayana, John Clellon Holmes, Don DeLillo, and Edith Wharton. The firm published Scribner's Magazine for many years. More recently, several Scribner titles and authors have garnered Pulitzer Prizes, National Book Awards and other merits. In 1978 the company merged with Atheneum and became The Scribner Book Companies. In turn it merged into Macmillan in 1984. Simon & Schuster bought Macmillan in 1994. By this point only the trade book and reference book operations still bore the original family name. 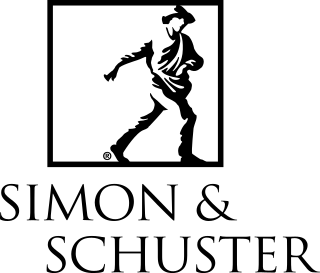 The former imprint, now simply "Scribner," was retained by Simon & Schuster, while the reference division has been owned by Gale since 1999. As of 2012[update], Scribner is a division of Simon & Schuster under the title Scribner Publishing Group which also includes the Touchstone Books imprint. The president of Scribner as of 2017[update] is Susan Moldow (who also held the position of publisher from 1994 to 2012), and the current publisher is Nan Graham. The firm was founded in 1846 by Charles Scribner I and Isaac D. Baker as "Baker & Scribner." After Baker's death, Scribner bought the remainder of the company and renamed it the "Charles Scribner Company." In 1865, the company made its first venture into magazine publishing with Hours at Home. In 1870, the Scribners[clarification needed] organized a new firm, Scribner and Company, to publish a magazine entitled Scribner’s Monthly. After the death of Charles Scribner I in 1871, his son John Blair Scribner took over as president of the company. His other sons Charles Scribner II and Arthur Hawley Scribner would also join the firm, in 1875 and 1884. They each later served as presidents. When the other partners in the venture sold their stake to the family, the company was renamed Charles Scribner's Sons. The company launched St. Nicholas Magazine in 1873 with Mary Mapes Dodge as editor and Frank R. Stockton as assistant editor; it became well known as a children's magazine. When the Scribner family sold the magazine company to outside investors in 1881, Scribner’s Monthly was renamed the Century Magazine. The Scribners brothers were enjoined from publishing any magazine for a period of five years. In 1886, at the expiration of this term, they launched Scribner's Magazine. 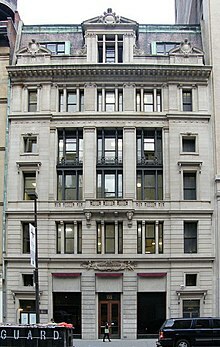 The firm's headquarters were in the Scribner Building, built in 1893, on lower Fifth Avenue at 21st Street, and later in the Charles Scribner's Sons Building, on Fifth Avenue in midtown. Both buildings were designed by Ernest Flagg in a Beaux Arts style. The children's book division was established in 1934 under the leadership of Alice Dalgliesh. It published works by distinguished authors and illustrators including N.C. Wyeth, Robert A. Heinlein, Marcia Brown, Will James, Marjorie Kinnan Rawlings, and Leo Politi. As of 2011[update] the publisher is owned by the CBS Corporation. Simon & Schuster reorganized their adult imprints into four divisions in 2012. Scribner became the Scribner Publishing Group and would expand to include Touchstone Books which had previously been part of Free Press. The other divisions are Atria Publishing Group, Simon & Schuster Publishing Group, and the Gallery Publishing Group. The new Scribner division would be led by Susan Moldow as president. Simon & Schuster has published thousands of books from thousands of authors. This list represents some of the more notable authors (those who are culturally significant or have had several bestsellers) from Scribner since becoming part of Simon & Schuster. For a more extensive list see List of Simon & Schuster authors. The Scribner Bookstores are now owned by Barnes & Noble. ^ Mitgang, Herbert (1984-04-26). "MACMILLAN ACQUIRES SCRIBNER". The New York Times. ISSN 0362-4331. Retrieved 2016-03-22. ^ Fabrikant, Geraldine (1993-11-11). "Paramount To Acquire Macmillan". The New York Times. ISSN 0362-4331. Retrieved 2016-03-22. ^ a b c "S&S Reorganizes Adult Group; Levin to Leave Free Press". PublishersWeekly.com. Retrieved 2017-01-16. ^ "Scribner | Meet the Team | From Simon & Schuster". www.simonandschusterpublishing.com. Retrieved 2017-01-16. ^ "Columbia Journalism Review - CJR's guide to what the major media companies own". Retrieved 2011-11-28. ^ Sisario, Ben. "After Consolidation at Simon & Schuster, Top Two at Free Press Are Leaving". Media Decoder Blog. Retrieved 2017-01-16. ^ Pace, Eric (November 13, 1995). "Charles Scribner Jr., Who Headed Publishing Company, Dies at 74". The New York Times. Retrieved 2008-07-24. Charles Scribner Jr., the longtime head of the Charles Scribner's Sons book publishing company, died on Saturday at the Mary Manning Walsh nursing home on York Avenue in Manhattan. He was 74 and lived on the Upper East Side of Manhattan for half a century. The cause was pneumonia, and he had suffered for a decade from a degenerative neurological disorder, said his son Charles Scribner 3d. ^ Bailey, Jr., Herbert S. (1997). "Charles Scribner, Jr. (13 July 1921-11 November 1995)". Proceedings of the American Philosophical Society. Proceedings of the American Philosophical Society, Vol. 141, No. 2. 141 (2): 233–237. JSTOR 987306. Roger Burlingame, Of Making Many Books: A Hundred Years of Reading, Writing and Publishing, New York: Charles Scribner's Sons, 1946; Pennsylvania State University Press, 1996 (Penn State Series in the History of the Book). Wikimedia Commons has media related to Charles Scribner's Sons. "Scribner Magazine online". 1889-1939. Retrieved 2012-04-24. 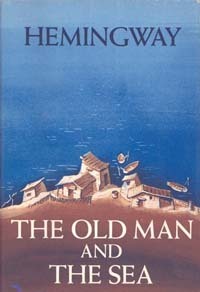 The Old Man and the Sea is a short novel written by the American author Ernest Hemingway in 1951 in Cuba, and published in 1952. It was the last major work of fiction by Hemingway that was published during his lifetime. One of his most famous works, it tells the story of Santiago, an aging Cuban fisherman who struggles with a giant marlin far out in the Gulf Stream off the coast of Cuba. 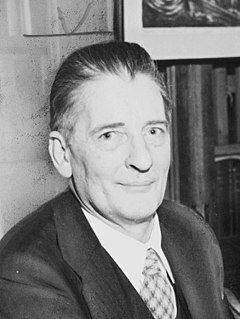 William Maxwell Evarts "Max" Perkins, was an American book editor, best remembered for discovering authors Ernest Hemingway, F. Scott Fitzgerald and Thomas Wolfe. 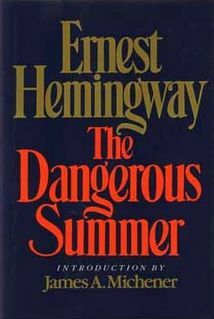 The Dangerous Summer is a nonfiction book by Ernest Hemingway published posthumously in 1985 and written in 1959 and 1960. The book describes the rivalry between bullfighters Luis Miguel Dominguín and his brother-in-law, Antonio Ordóñez, during the "dangerous summer" of 1959. It has been cited as Hemingway's last book. 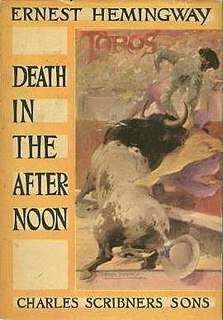 Death in the Afternoon is a non-fiction book written by Ernest Hemingway about the ceremony and traditions of Spanish bullfighting, published in 1932. The book provides a look at the history and what Hemingway considers the magnificence of bullfighting. It also contains a deeper contemplation on the nature of fear and courage. While essentially a guide book, there are three main sections: Hemingway's work, pictures, and a glossary of terms. Marjorie Kinnan Rawlings was an American author who lived in rural Florida and wrote novels with rural themes and settings. Her best known work, The Yearling, about a boy who adopts an orphaned fawn, won a Pulitzer Prize for fiction in 1939 and was later made into a movie of the same name. The book was written long before the concept of young adult fiction, but is now commonly included in teen-reading lists. Simon & Schuster, Inc., a subsidiary of CBS Corporation, is an American publishing company founded in New York City in 1924 by Richard Simon and Max Schuster. As of 2016, Simon & Schuster was publishing 2,000 titles annually under 35 different imprints. G. P. Putnam's Sons is an American book publisher based in New York City, New York. Since 1996, it has been an imprint of the Penguin Group. The Fifth Column and the First Forty-Nine Stories is an anthology of writings by Ernest Hemingway published by Scribner's on October 14, 1938. It contains Hemingway's only full-length play, The Fifth Column, and 49 short stories. Marjorie Kinnan Rawlings Historic State Park is a Florida State Park and historic site located on the former homestead of Pulitzer Prize-winning Florida author Marjorie Kinnan Rawlings (1896-1953). A National Historic Landmark, it is located in Cross Creek, Florida, between Ocala and Gainesville at 18700 South County Road 325. Scribner's Magazine was an American periodical published by the publishing house of Charles Scribner's Sons from January 1887 to May 1939. Scribner's Magazine was the second magazine out of the Scribner's firm, after the publication of Scribner's Monthly. Charles Scribner's Sons spent over $500,000 setting up the magazine, to compete with the already successful Harper's Monthly and The Atlantic Monthly. Scribner's Magazine was launched in 1887, and was the first of any magazine to introduce color illustrations. The magazine ceased publication in 1939. Charles Scribner II was the president of Charles Scribner's Sons and a trustee at Skidmore College. The Yearling is a novel by Marjorie Kinnan Rawlings published in March 1938. It was the main selection of the Book of the Month Club in April 1938. It was the best-selling novel in America in 1938 and the seventh-best in 1939. It sold over 250,000 copies in 1938. It has been translated into Spanish, Chinese, French, Japanese, German, Italian, Russian and 22 other languages. It won the 1939 Pulitzer Prize for the Novel. Alice Dalgliesh was a naturalized American author and publisher who wrote more than 40 fiction and non-fiction books, mainly for children. She has been called "a pioneer in the field of children's historical fiction". Three of her books were runners-up for the annual Newbery Medal, the partly autobiographical The Silver Pencil, The Bears on Hemlock Mountain, and The Courage of Sarah Noble, which was also named to the Lewis Carroll Shelf Award list. Charles Scribner I was a New Yorker who, with Isaac D. Baker (1819–1850), founded a publishing company that would eventually become Charles Scribner's Sons. The Secret River is a children's fantasy book by Marjorie Kinnan Rawlings, author of The Yearling. Published in 1955, The Secret River received a Newbery Honor Award. The first edition, illustrated by Caldecott Medal winner Leonard Weisgard, was issued after Rawlings' death. The book was revised and reissued in 2009 with illustrations by Caldecott Medalists Leo and Diane Dillon. The new edition received an international children's book design award in 2012. The Secret River is the only book Rawlings wrote specifically for children. The story of young Calpurnia, who goes on a quest to find a magical river and catch fish for her starving family and friends, it has two themes common in Rawlings' writing, the magic of childhood and the struggle of people to survive in a harsh environment.